Hello! I’m Lynne. I’m a mom, wife, software engineer, and sewing enthusiast. I’m also a huge Earth Wind and Fire fan! I’m happy to participate on this blog and I hope that I can bring my own form of crazy to this website. I love most anything you can do with a sewing machine: garment sewing, quilting, bag-making (both chicken and traditional), and sometimes some soft toy making. I don’t like sewing curtains, upholstering furniture, or mending. I even have a hard time sewing for my own beloved hubby, but have been known to do so. I’ve also started sewing Cosplay for my anime-crazed daughter. So I suppose that means I do like to sew costumes as well. I have other hobbies as well – I like fish and fish tanks, jigsaw puzzles, and occasionally cooking. But for the most part, I sew in my spare time. I like making clothes that I can wear the next day (or the same day). I’m a bit impatient, so I don’t like doing a lot of fitting and I sew with a lot of stretchy knits. It’s also a rare thing for me to complete a quilt, but I like piecing so I practice piecing and quilting on tote bags. My sewing approach may be a little unrefined, but it is something I enjoy immensely! I am trying to print out your blog on the new Dream Machine by Brother. Cannot print it do you have a suggestion. I too have that problem. For those of us who have a computer on a different floor from the machine, the written word works best. A pdf document of all her posts would be wonderful. I am new to digitizing. I would be at the beginner level. It’s so confusing when you research all of the different products. Someone told me that Wilcom was good. But you can’t even get pricing without speaking to a rep. That’s a good idea to try it out first. Someone told me they loved the Florianni software and that it is highly discounted price (under 2k) when you go to an event to buy it. My Babylock dealer is having an event in January. I like the fact that they have a lifetime of upgrades for free. I watched the videos on their website showing how it works. It looks easy enough that I could do it. I downloaded a copy of Stitch Era about four weeks ago. But, honestly, I didn’t understand the terminology, vectors, etc. I took it off my machine after I looked at the interface. I guess I’m looking for something that’s easy enough to use as a beginner and that I can grow into. I will check out Master Works 3, is that a Babylock/Designer’s Gallery product? I have Studio plus I use for cataloging my purchased designs & I like that. I installed it and starting using it day one. I’ve never even looked at the directions. It’s crazy how much you can spend on this sewing addiction. When you’re making a big purchase like a machine or software you really want to do your due diligence so you don’t have buyer’s remorse. The Brighton dealer has a great fabric selection. They are at hwy 7 & hwy 85. It’s called B-Right-On owned by a brother and sister. He told me that they don’t have a lot of overhead and that’s why their prices are lower. My babylock dealer wanted my Ellisimo Golf 2 & 8k for The Destiny which is the same machine as the Dream Machine. My daughter said the manufacturer should call the next machine The Divorce! It’s crazy when you compare the price to a vehicle. But, I do love my Dream Machine & my Ellisimo Gold. They brings hours of smiles. Lynne, read your review of the Dream machine,great technical review!. When I bought mine at the dealer in Brighton, CO he gave me credit for the PE Next software and tutorial towards a serger because I wasn’t sure I’d like it. B-right-On is selling the Dream machine at a cash price of $10,400. 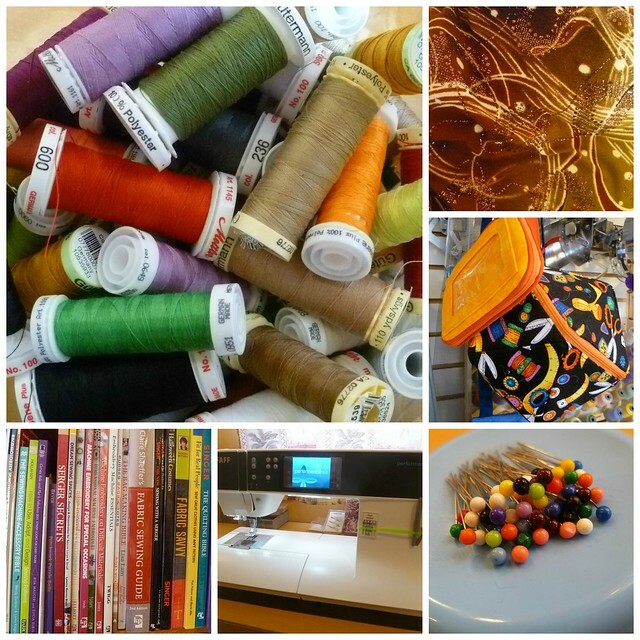 I traded in my Ellegante 3 and got the new Juki mo 1000, sewing bags, 8 in. Hoop, and $70 store credit (in place of the Anita Goodesign) for $8,000. I highly recommend this dealer. Love, love, love the machine! After reading your excellent review I’m glad I passed on the software. But, I would like to invest in good software. Im hoping to fing a great deal over the holidays. What digitizing software do you recommend? I looked up problems with blade on scanNcut and it led me to you.I hope you don’t mind me asking as Ican’t get any help from Brother. I turned the blade all the way round and then couldn’t turn it back. It is locked solid and all the way out. Have you known of this happening before,please. I have not had this problem! I’m so sorry to hear about it. Maybe someone else out there has had this problem – perhaps try asking on the Facebook group pages. There are lots of ScanNCut owners on Facebook. There is a little print icon at the bottom of your posts on the Scan & Cut machine. I cannot get it to work to print these great articles. I also tried sending it to myself, in the hope I could possibly print it that way. Could you send me a pdf or some document of those three files?